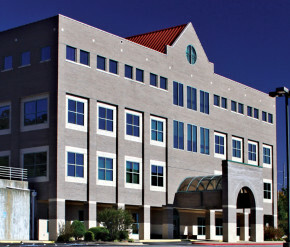 This 43,000 square foot, four story, medical and professional building was built in to the side of a hill. Ground level entries were utilized at both the first and second floors. The facility is constructed of structural steel with a brick veneer finish and topped by a flat build-up roof with metal sloped façade.